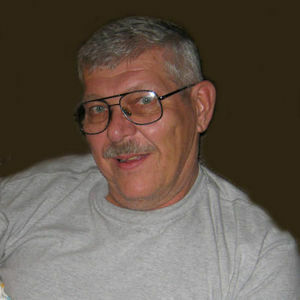 Paul Zach, 66, Fairmount, ND passed away at his residence under the care of his family and Riveredge Hospice on May 23, 2013. Mass of Christian Burial will be on Tuesday, May 28, at 10:30 AM at St. Anthony's Catholic Church, Fairmount. Visitation will be on Monday from 5 PM to 7 PM at Willow Creek Chapel, Wahpeton, ND. There will also be visitation one hour prior to the service at the church on Tuesday. Interment will be at Calvary Cemetery, Fairmount. Military rites will be provided by Milton E. Stevenson American Legion Post and North Dakota Military Honors. Arrangements are entrusted to Vertin-Munson Funeral Home, Wahpeton. Paul Zach was born on August 13, 1946 in Wahpeton, ND to Ignatz and Doretta (Bernard) Zach. He grew up and attended school in Fairmount, ND where he graduated from Fairmount High School in 1964. In 1965, Paul enlisted in the US Air Force and served four years, but his loyalty to the family business, Zach's Repair, brought him back to Fairmount where he spent the rest of his life. Paul was united in marriage to Marie Barringer in Wahpeton on August 31, 1974. He continued to work at Zach Repair until 1991. At that time Paul began working for the Shorma family as a welder and fabricator in their businesses of Primewood, MDI, and was currently working with WCCO Belting. In 2002 he was Employee of the Year and in 2008 he was inducted into the WCCO Hall of Fame. Paul was a member of the Milton E. Stevenson American Legion Post in Fairmount and the Fairmount Fire Department. He was on the Fairmount school board during the addition of the new gym, and served in many capacities for the Fairmount Summer Recreation Board. He also served on the St. Francis Hospital Advisory Board from 1987 to 1992. Paul was known as a hard working person but enjoyed camping, fishing, and bird watching. He especially loved spending time with his family and going to all of his children's activities. Paul is survived by his wife, Marie; his son, Dave Sanborn, Fairmount, ND; his daughter, Sherry (Terry) Landes, Omaha, NE; his grandchildren, David Sanborn, Corey and Zach Landes; his brothers and sisters, Jim Zach, Fergus Falls, MN, Joan (Keith) Snortland, Fargo, ND, Joe (Karlee) Zach, Riverton, WY; Maria (Jerry) Stokka, and Teresa (Dave) Osten, both of Pelican Rapids, MN; and many nieces and nephews. Paul was preceded in death by his parents; his son, Corey Zach; his sister, Cecilia Klefstad; and his brothers-in-law, Gene Larson and Stewart Klefstad. In lieu of flowers, memorials are preferred to Riveredge Hospice. Online guestbook at www.vertinmunson.com. I have many memories of Paul as a child, out on Grandpa Zach's farm, playing around the yard. the older boys, Jim, Paul, Gene, Don, would always give us younger kids a hard time. Paul always liked to joke around and tell stories, just like all his uncles. I later knew Paul as a hard worker and very educated and talented in his vocation. He was a good man and I am proud to be able to call him my cousin.